I’m partnering with the Book of the Month Club for an exciting giveaway for 5 winners to receive a FREE 3 month subscription! This is for US entrants only! To enter, follow myself and @BookoftheMonthClub on Instagram, like the post and tag your favorite bookworm in the comments! Marlena by Julie Buntin – EXCLUSIVE! Love how BOTM always does this, sending us amazing books that the rest of the world doesn’t even get to see until April! Eeee! Loving this dramatic book about 2 young girls, kind of reminds me of the movie Thirteen which I loved. 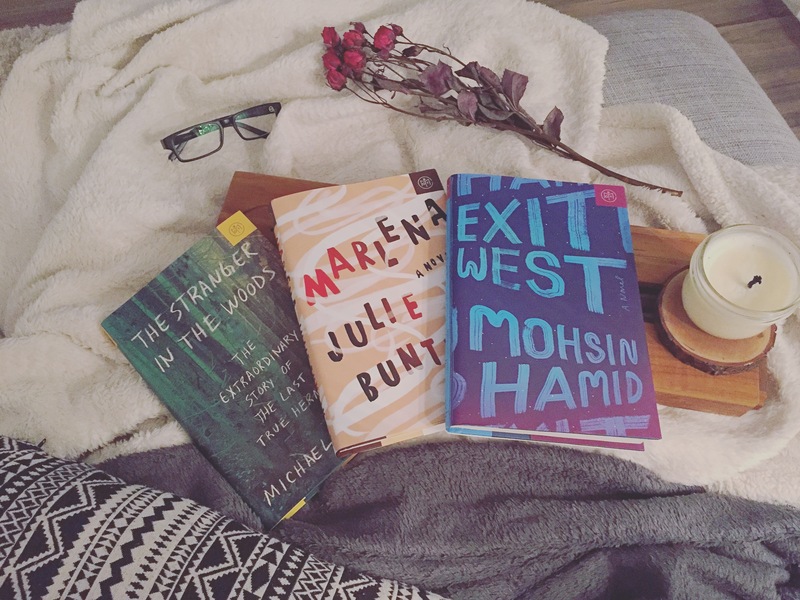 Exit West by Moshin Hamid – A couple falls in love in an unknown city, excited to read this one! The Stranger in the Woods – Michael Finkel – Story of a family being repeated robbed so ending up being afraid of their own living situation, but a story of a man leaving and living in solidarity for 27 years. Exciting read! Dead Letter by Caite Dolan-Leach – the tale of 2 sisters, grabs you from start to finish! All Grown Up by Jami Attenberg – A story of a 40yr old women, a real women. Great read!